In the past few days, rumors of a possible involvement of Game of Thrones’ Kit Harrington, who plays Jon Snow in the HBO’s popular TV Show, in Call of Duty Infinite Warfare have started circulating online following the release of a video showing the actor during a motion capturing session. A few hours ago, Activision confirmed not only that he’ll play a part in the new Call of Duty game, but also that he’ll play a very important part. According to the publisher, Kit Harrington will play the main Call of Duty Infinite Warfare villain. The game’s narrative director Taylor Kurosaki further elaborated on his involvement, revealing how Kit Harrington immersed himself into the role completely. 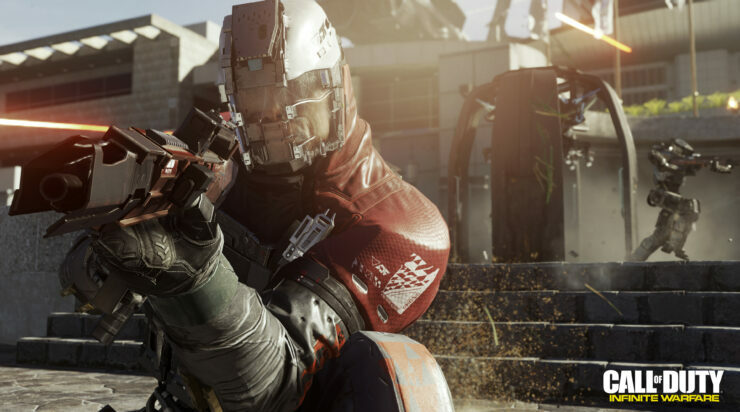 The Call of Duty Infinite Warfare reveal trailer is one of the most disliked videos on YouTube, but this isn’t preventing Activision from doing its best in making sure that Call of Duty Infinite Warfare will be as memorable as possible. Earlier this week, it’s been revealed that the Call of Duty Infinite Warfare and Modern Warfare Remastered multiplayer will be revealed during the Call of Duty XP 2016, which will be held this September. During the event, players will also be able to learn more about the Call of Duty Infinite Warfare Zombie mode and the third Call of Duty Black Ops 3 DLC map pack. Call of Duty Infinite Warfare launches on November 4th in all regions on PC, PlayStation 4 and Xbox One. With the E3 right behind the corner, and the multiplayer reveal coming in 3 months, there’s a very good chance that more details on the game’s campaign will be coming in the next few days, so stay tuned for all the latest news.